Stylish one bedroom apartment with a large balcony with views over Brisbane city, river or park. Featuring fully equipped kitchen, queen size bed, shower over bath, lounge/dining area, laundry amenities, Foxtel cable TV and free unlimited WiFi internet access. 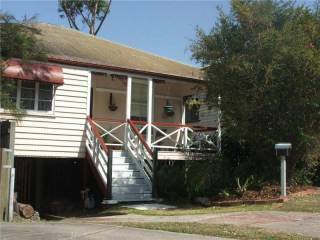 Stylish two bedroom apartment with a large balcony with views over Brisbane city, river or park. 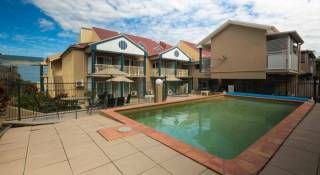 Featuring fully equipped kitchen, two bedrooms with double beds, two bathrooms, lounge/dining area, laundry amenities, Foxtel cable TV and free unlimited WiFi internet access. 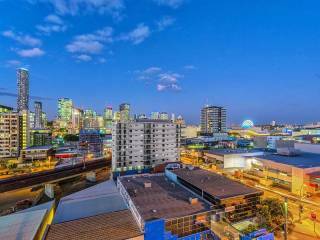 Modern luxury two bedroom apartment with a large balcony boasting views over Brisbane city, river or park. 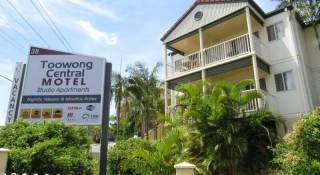 Featuring fully equipped kitchen, two bedrooms with Queen beds, two bathrooms, lounge/dining area, laundry amenities, Foxtel cable TV and free unlimited WiFi internet access. Stylish two bedroom apartment plus a study with a large balcony with majestic views over Brisbane city, river or park. Featuring fully equipped kitchen, two bathrooms, lounge/dining area, laundry amenities, Foxtel cable TV and free unlimited WiFi internet access. 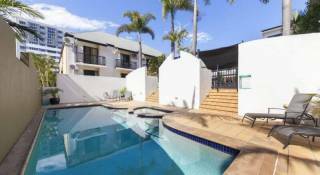 There is a choice of one bedroom, two bedroom or two bedroom plus study apartments all with large balconies, fully equipped kitchens, laundry facilities, lounge/dining areas, Foxtel TV and free unlimited WiFi internet access. The apartment block has free secure underground parking for guests, an outdoor swimming pool, a gymnasium, games room and offers a drycleaning service to guests. With such a wide array of facilities you will always find something to do. You will be supplied with our key safe code (via sms or email). Keys will be left along with apartment and parking information/instructions in the safe at the main entrance to the building. WiFi Internet – limits apply of 300mb download and 200mb upload per day, included in the rate. Extra internet can be purchased. If cancelled or modified up to 48 hours prior to the date of arrival, then no fee will be charged. If cancelled or modified later, then the full amount of the booking will be charged. In the case of a no show, the total price of the reservation will be charged. Payment for the full period of the booking must be made before occupancy with either Cash, or Credit Card (Visa/MasterCard surcharge of 1.5%, Diners/Amex surcharge of 3.3%) unless special prior arrangements have been entered into. Phone calls are to be paid before departure or earlier if called for. The Guest authorizes the Manager to charge any credit card for any loss, damage or monetary contribution for which any Guest is liable under this document or otherwise. By Train: Catch train from Central Station on the Ipswich/Rosewood line to Auchenflower Station and walk down towards the Wesley Hospital car park roundabout and follow Patrick Lane to our building.